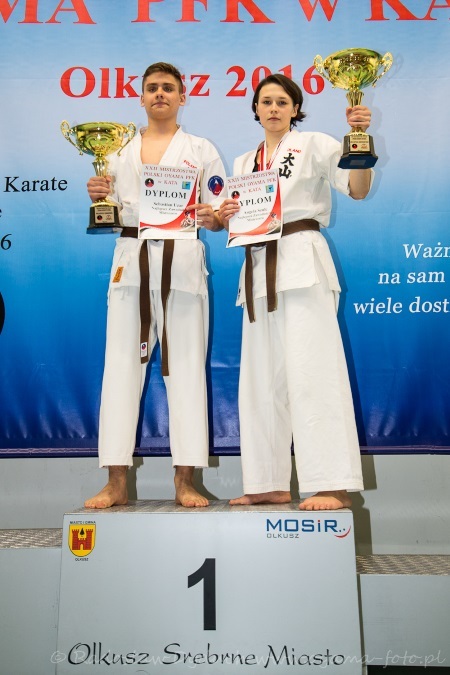 On March 12th 2016 the City of Olkusz hosted 22nd OYAMA Polish Karate Federation Championships in Kata. Overall 224 competitors from 28 clubs participated in this yearly event. 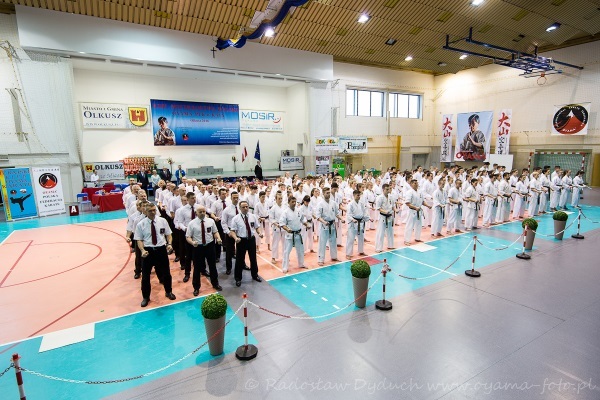 The tournament was organized by Jurajski Karate Club from Olkusz with Sensei Kazimierz Skalniak 4th dan. The Mayor of Olkusz - Mr Roman Piasnik and the Chairman of OYAMA Polish Karate Federation, Hanshi Jan Dyduch 8th dan took patronage over the event. Shihan Andrzej Pierzchala 6th dan, OYAMA IKF Director for technical matters was also present during the tournament. During the opening ceremony Hanshi Jan Dyduch commemorated the Founder of OYAMA style, Grand Master Soshu Shigeru Oyama 10th dan, whose memory was honored by a minute of silence. The title of best competitor of the Polish Championships in Olkusz went to: senior Angela Szulc (Piotrkow Trybunalski) and junior Sebastian Uzar (Tarnobrzeg)- both champions in their categories. The competition stood on a high technical level. The participants received medals and trophies. The semi-finalists over 14 y.o. 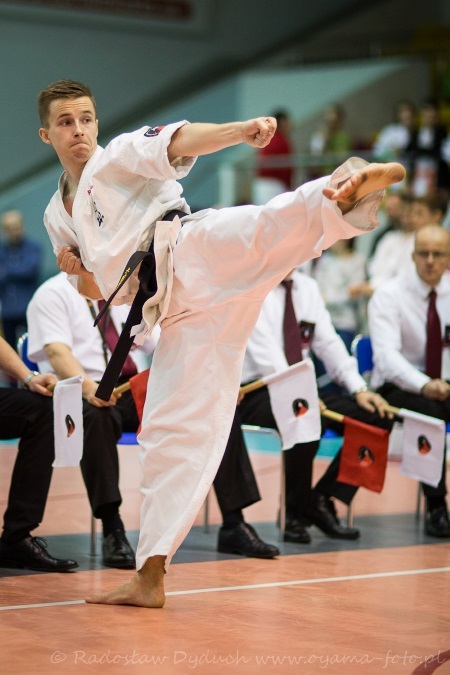 from Kata and Kobudo tournament also qualified for the European Championships Kyokushin Tezuka Group located in Walbrzych, Poland held in November.